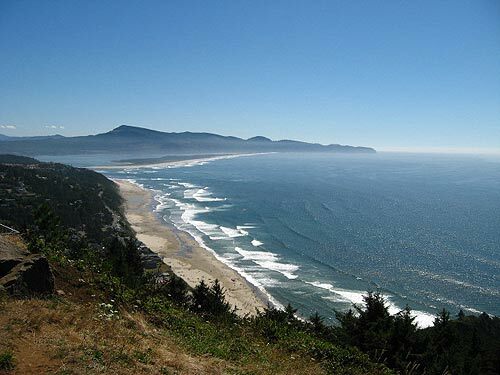 (Rockaway Beach, Oregon) – March into spring with a cavalcade of fun stuff to engage in throughout the Tillamook County towns of Pacific City, Netarts, Tillamook, Garibaldi, Rockaway Beach, Nehalem, Wheeler and Manzanita. Food, wine, coastal science, theater, music and a variety of the arts are all on tap throughout March, as well as the highlights of spring break, Whale Watch Week and the SOLV Beach Clean-Up. March 3 - 4. Sharing the Coast Conference. Talks on everything from dendrochronology and paleobotany to geology and coastal hazards. Field trips on March 4. $45. 9 a.m. Tillamook Bay Community College. Tillamook, Oregon. Call CoastWatch (503) 238-4450. March 3. Harborview Winter Wine Tasting. 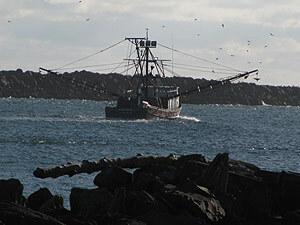 Featuring Nehalem Bay Winery and the Harborview's crab recipe contest winner – a Roasted Garlic & Dungeness Soup. Free for guests of the motel and RV park, $3 for public. Harborview Inn & RV Park. Garibaldi, Oregon (503) 322-3251. March 3. Spaghetti Feed and Silent Auction. A fundraiser for Rockaway Parks and Recreation. Rockaway Beach City Hall. Rockaway Beach, Oregon. 503-355-2291. March 4. Coastal Think Tank: Mark Allen Cunningham. Join Oregon Humanities and historian Mark Allen Cunningham for a talk on the subject “From Print to Pixels: Reading in the Digital Age.” 2-4 p.m. Hudson House B&B. 3770 Hwy 101. Pacific City, Oregon. 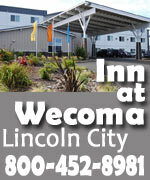 503-965-2244. www.pcnvchamber.org/chamber-https://www.beachconnection.net/newsl?show=52. March 10. St. Patrick’s Dinner. A fundraiser for the Rockaway Lions. Lion’s Club Building. Rockaway Beach, Oregon. 503-355-2199 or 503-355-3010. March 10-11. Garibaldi Crab Races. Food and crab races. 10 a.m. $3. Kids under 5 are free. Old Mill Marina. 210 Third St. Garibaldi, Oregon. 503-322-0322. www.oldmill.us. March 11. Latimer Quilt & Textile Center Open House. Stop by and meet the staff and view the wonderful items and exhibits. Noon-4 p.m. 2105 Wilson River Loop Road. Tillamook, Oregon. 503-842-8622. March 16-17, 23-25. Live theater: “Wait Until Dark.” Tillamook Association for the Performing Arts Community Playhouse. 12th & Ivy streets. Tickets available at Diamond Art Jewelers, 503-842-7940. Tillamook, Oregon. 503-812-7036. www.tillamooktheater.com. March 17. Rockaway Beach Lion’s Club St. Patrick’s Day Dinner. Lion’s Club Building. Rockaway Beach, Oregon. 503-355-2199 or 503-355-3010. March 24. Roast Beef Dinner. St. Mary’s By the Sea Catholic Church. 275 S. Pacific St. Rockaway Beach, Oregon. www.oregoncoast.com/stmarys/index.html. March 24-31. Oregon Coast Whale Watching Week. Volunteers line points along the Oregon Coast to help visitors spy gray whales as they migrate north. 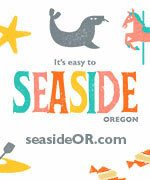 Find them in the area Cape Mears, Cape Lookout and Cape Kiwanda. whalespoken.org. March 25. Coastal Think Tank: Dr. Isabelle Freda. Join Oregon Humanities and Dr. Isabelle Freda for a talk on the subject “Tracking Godzilla: Images of Nuclear Radiation.” 2-4 p.m. The Inn at Cape Kiwanda. Pacific City, Oregon. 503-965-2244. www.pcnvchamber.org/chamber-https://www.beachconnection.net/newsl?show=52. March 31-April 1. Headlight Herald Home & Garden Show. Free admission and free parking. Tillamook County Fairgrounds. 4603 Third St. Tillamook, Oregon. 503-842-7535. March 31. Solv annual spring beach cleanup. Join Oregonians from across the state to celebrate nearly three decades of beach cleanups along the entire Oregon coastline. 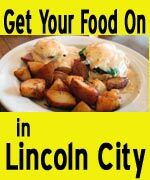 Meet at various spots around Lincoln City, Gleneden Beach. Register online. 10 a.m.-1 p.m. www.solv.org. Every Tuesday and Thursday. Clay Art Open Studio. Artists of all ages who are interested in working with clay are encouraged to visit. 5 p.m.-8 p.m. Hoffman Center. 594 Laneda Ave. Manzanita, Oregon. 971-235-9450. www.hoffmancentermanzanita.org. Every Thursday. Letterpress Open Studio. 11 a.m.-4 p.m. Contact Sarah to schedule a session at accidentalpress@gmail.com. Hoffman Center. 594 Laneda Ave. Manzanita, Oregon. 971-235-9450. www.hoffmancentermanzanita.org. Every Saturday. Fiber Arts Group. Come and knit, crochet, quilt, spin, embroider, sew or weave. 10:30 a.m. Free. T-SPOT Yarn, Tea and Chocolate Shop. 144 Laneda Ave. Manzanita, Oregon. 503-368-7768. Every Sunday. Life Drawing. This is an opportunity to practice drawing the human figure with a live model in a supportive and engaged atmosphere. The studio fee is $15 for the three hours and any experience level can join in. 10 a.m.-1 p.m. Hoffman House Studios Drawing Room. 594 Laneda Ave. Manzanita, Oregon. 503-368-7868. www.hoffmancentermanzanita.org. March 10. Memoir Workshop. Free memoir workshop, led by Marjorie Sandor, Oregon Book Award finalist. Space is limited, register by emailing Susan Denning at susan@literary-arts.org. Hoffman Center. 594 Laneda Ave. Manzanita, Oregon. 971-235-9450. www.hoffmancentermanzanita.org. March 10. Manzanita Writers’ Series: Marjorie Sandor. Oregon Book Award finalist Marjorie Sandor reads from her memoir “The Late Interiors.” 7-9 p.m. Hoffman Center. 594 Laneda Ave. Manzanita, Oregon. 971-235-9450. www.hoffmancentermanzanita.org. March 24. Manzanita Film Series. 7:30 p.m. $7. Hoffman Center. 594 Laneda Ave. Manzanita, Oregon. 971-235-9450. www.hoffmancentermanzanita.org. March 24-31. Oregon Whale Watching Week. Volunteers line points along the Oregon Coast to help visitors spot gray whales as they migrate north. Find them at Neahkahnie Mountain near Manzanita. whalespoken.org. March 31. Poetry Workshop. Led by Oregon poet Carlos Reyes. 9:30 a.m.-2 p.m. Hoffman Center. 594 Laneda Ave. Manzanita, Oregon. 971-235-9450. www.hoffmancentermanzanita.org. March 31. Poetry Reading. Oregon poet Carlos Reyes reads from his work. 2:30-4 p.m. Hoffman Center. 594 Laneda Ave. Manzanita, Oregon. 971-235-9450. www.hoffmancentermanzanita.org. March 31. Solv annual spring beach cleanup. Join Oregonians from across the state to celebrate nearly three decades of beach cleanups along the entire Oregon coastline. 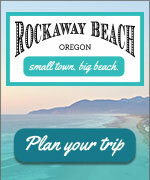 Various meeting places in Rockaway, Manzanita. Register online. 10 a.m.-1 p.m. www.solv.org.